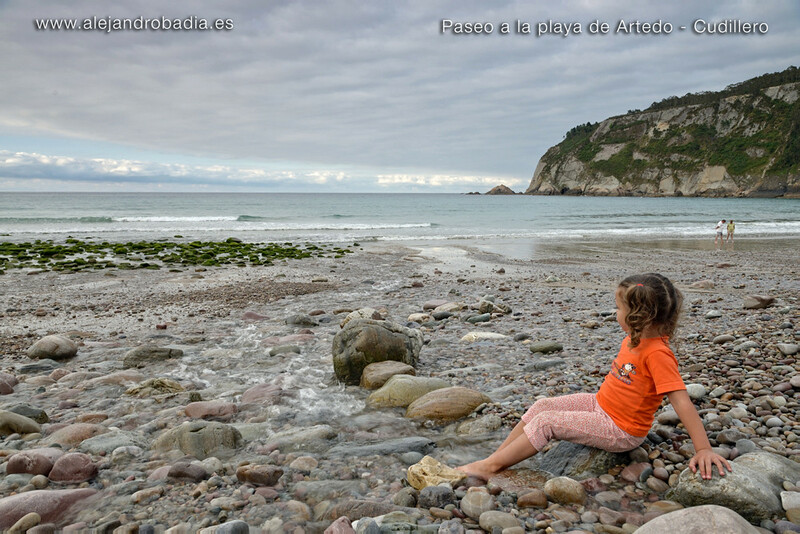 The Shell of Artedo is, as we say the Asturians, a "beautiful beach", at times "spectacular" for the senses. You can enjoy in it an unparalleled sunset, a magnificent sound at high tide, when this bank of pebbles crepita with the hangover. It is a "beautiful" beach at low tide, at high tide, with bad weather and with that totally sunny day in which we admire the cliffed coastline in the refugee. The bath in its waters is unbeatable, protected as it is from the ocean by two projections that give it its shell aspect, and the fame of its clean and crystal clear waters, almost exotic for the Principality. 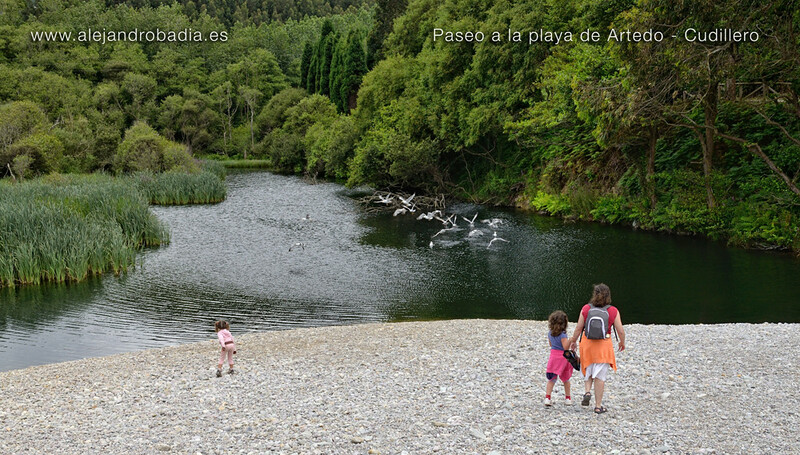 Year after year it occupies the highest positions in the water quality ranking of the Asturian beaches. For its beauty, its complete services, both beach and hospitality; because of its easy access, its quiet and rural environment, and its unusual cleanliness is the busiest beach in the council of Cudillero. It is also number one in the municipality for its breadth, it reaches the 760 meters of extension, with a surface close to the 70.000 square meters. It is situated at the bottom of a wide inlet where the Uncín River empties, forming a small estuary of high natural value. A beach shell that once was a port and from which the linear Cantabrian skyline is admired like no other. In her sport fishing it has been a consolidated activity since ancient times. 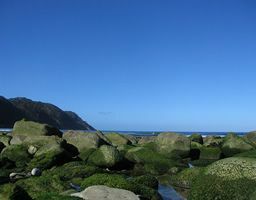 In particular it is, and it has been it traditionally, one of the best coastal places for the initiation to the diving. The walls of the two ends of the beach can be dived, although without a doubt, the one that has more fame is that of the Austera Point, the most western. There are large cracks to go through, with walls covered in sponges and gorgonians. In the sand it is possible to discover numerous rays, scrapie and bottom fish. A perfect mix between sand, seaweed and rock. The most common species that we can find are breams, maragotas, smooth; as well as seabass almost all year round. Occasionally some criminal, San Pedro fish or crossbow fish among others. A place with so much landscape and environmental wealth, also treasures an important cultural baggage, since historically it has been Obligatory stopover for pilgrims on their way to Santiago. Today, Artedo is still a kind of relaxing refreshment in the stage that runs between the villages of Cudillero and Luarca. It has access through the core of Artedo, which is accessed by a detour from the N-632. It is one kilometer away from this town. You can also get there from Lamuño by a steep and steep road that leaves us in the center but with practically no chance to park or pass to the other side as the old bridge that was previously accessed It is now only pedestrian. It has sevice of aid, parking area and camping, about 500 meters inland. There is also a restaurant. Punctuation: 6.8. of 3 votes. 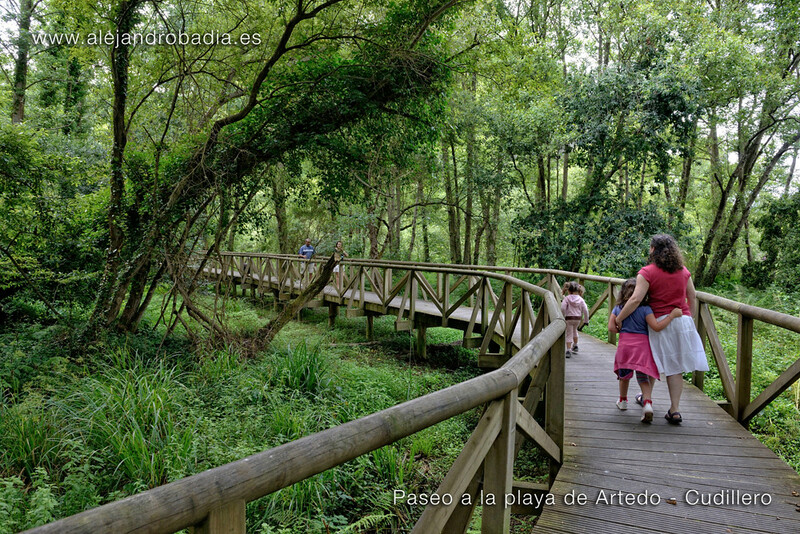 4 answers to "Playa Concha de Artedo"